AngularJS is invariably the best Content management system in the global arena today. It is Receptive, Reliable and Secure. "Reimagine Digital Experience with Intelligent Solutions"
IndiaInternet is one of the leading AngularJS web and app development companies in Delhi. It efficiently builds the single page enterprise apps comprising of the capability of model-view-controller (MVC). We provide customers with influential HTML capabilities which can explore the archetypes of the flexibility of AngularJS Technology, third-party integration, and commutable design. We process to serve you with materializing your business concepts to successful web undertaking. We also promise you substantial utilization of the options available for customization. We are providing AngularJs Web & Mobile App Development Services in Delhi, India in a very cost-effective manner. Get in touch with our Expert team for your requirements. IndiaInternet is aware of the fact that any complex business setup needs the guidance of AngularJS. IoT Apps:- We are always eager to provide the customer with the enterprise-level applications by AngularJS development. This carries the maximum advantages of the latest technologies like the Internet of Things (IoT). Data Streaming Apps and Applications for Data Streaming:- The AngularJS apps developed by us always provide the customer with effective data streaming apps. Furthermore, an adjustable framework of the AngularJS development helps in building real-time solutions rapidly. Third Party Integration:- IndiaInternet promises to deliver you with the support of third-party integration. This can help your application to get a suitable environment to work. Development of API:- We eligible carry out the process of developing an API. We build a support for the pre-existing AngularJS solutions and REST APT having the AngularJS 1.x version. Graphs and Charts:- At IndiaInternet, we know the importance of interactivity. We always look forward to providing the app development solutions which can allow the integration of interactive charts and graphs. This is done with the usage of Highlight Charts, AM Charts, and Angular Charts. CMS Tools:- IndiaInternet offers a combination of Content Management System (CMS) with the AngularJS Web app. This can give you the complete comfort on handling the app or website. 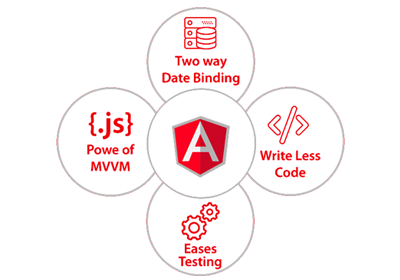 There are some effective services which the AngularJS can provide you. They are given below.